STILLWATER - Thomas C. Mellon, 71, of Robens Road, died unexpectedly Thursday morning, Oct. 4th at Stratton VA Medical Center, Albany, after a brief illness. Born Nov 11th, 1946, son of the late Matthew and Constance Brown Mellon, Tom was a 1964 graduate of Stillwater Central School, and had also attended HVCC and the College of Santa Fe. During the Vietnam Era, Tom served in the US Army stationed in Germany. A union carpenter his working life, he was a member of the Northeast Carpenters Union of Albany and had worked on projects such as the NY State Southmall buildings, including the “Egg” and the NY State Museum. He had also worked a number of years at the Naval training facility at West Milton, retiring in 2004. Tom enjoyed camping, walking, Bob Dylan music, and working on projects for his family and friends. Though a reserved guy, Tom was a community involved person, always lending a hand in his Town and church activities. 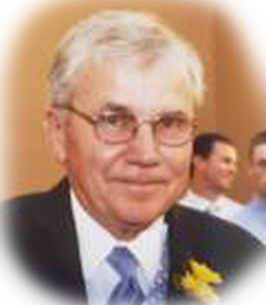 Tom was a former member of the Stillwater Rescue Squad, was a member of the Town of Stillwater Zoning Board, was a Stillwater Central School district Board Member, and former president of the Stillwater Public Library. As a devoted member of All Saints on the Hudson Church (St. Peter’s), Tom actively volunteered his time as a member of multiple committees as well as a craftsman to help maintain and upgrade the facility. Survivors include his wife of almost 48 years Dawn Freatman Mellon who he married Oct 17, 1970. His three proud children, Stephen (Lisa) Mellon of Pittsburgh, Amy (Daryl) VanVranken of Glens Falls and Luke (Celeste) Mellon of Charlotte, NC, and his adored grandchildren Mackenzie, Olivia and Lochlan Mellon. He was also survived by his sister Jeannine (Donald) Bassani of Fort Plain, nephew Scott (Donna) and niece Jodi Bassani, along with cousins and many friends. In addition to his parents, Tom was predeceased by his brother Matthew Peter Mellon. A Funeral Mass will be celebrated on Tuesday, Oct 9th at 9 AM at All Saints on the Hudson Church, 895 Hudson Ave, Stillwater, followed by burial with military honors at Saratoga National Cemetery. Friends may express condolences at All Saints on the Hudson Church (St. Peter’s) on Monday from 4-7 PM. In lieu of flowers, remembrances may be made to either the Stillwater Public Library or St. Peter’s Hospital ALS Regional Center, 19 Warehouse Row, Albany 12205 in respectful memory of Thomas C. Mellon. 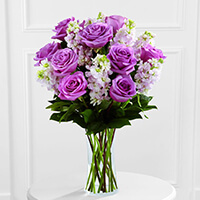 To send flowers to the family of Thomas C. Mellon, please visit our Heartfelt Sympathies Store. Our deepest sympathies during your time of loss. Please know our thoughts are with you and your family. In memory of our friend Tommy Mellon. May this donation help to continue the service your library offers to our community. I am so deeply sorry to hear about your loss. I hope you are able to find peace during this difficult time. Dear Mellon family, Please accept my deepest condolences. Be assured of Jehovah's promise found in Acts 24:15- "There is going to be a resurrection." God is eager to resurrect our loved ones. He yearns to get rid of death once and for all and bring back those who are in his memory. We have no reason to doubt this truth.